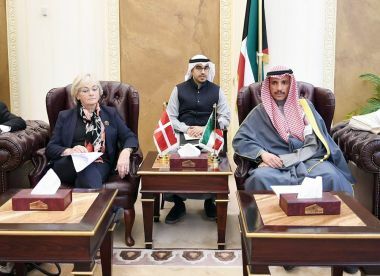 KUWAIT-- Speaker of Kuwait National Assembly Marzouq Ali Al-Ghanim held talks on Tuesday with Speaker of the Danish Parliament Pia Kjaersgaard and her visiting accompanying delegation. In their meeting, both sides discussed ways to enhance and strengthen bilateral relations between Kuwait and Denmark, as well as coordination at international parliamentary forums. They also discussed subjects of mutual concerns and latest developments on the regional and international scenes. 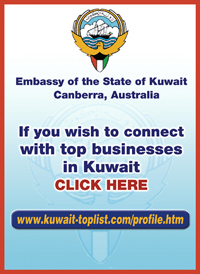 The meeting was attended by Head of the accompanying honor mission, MP Safa Al-Hashim, along with parliament members Naif Al-Ajmi, Khaled Al-Shatti, Kuwait Ambassador to Sweden and assigned to Denmark, Nabeel Al-Dakheel, Secretary General of Kuwait National Assembly Allam Al-Kandari and the Danish ambassador to Kuwait. After the talks, Speaker Al-Ghanim held a luncheon honoring the visiting guest and his accompanying delegation at the Grand Hall in National Assembly, which was attended by a number of MPs. Speaker of the Danish Parliament and her accompanying delegation arrived in Kuwait last Saturday on a Five-days official visit.